Galaxie Salsa Co. was established in 2010 by Dana Carman of Buxton, Maine. The overwhelmingly positive response to our zucchini salsa is the motivation behind its production and the reason you have to try it! Like many who venture into the "specialty food business," we knew that we had a great product because we were constantly being asked to make it for people and giving it away. Though suggestions from friends, was initially what made this idea come alive, support from YOU is the reason we are such a success! 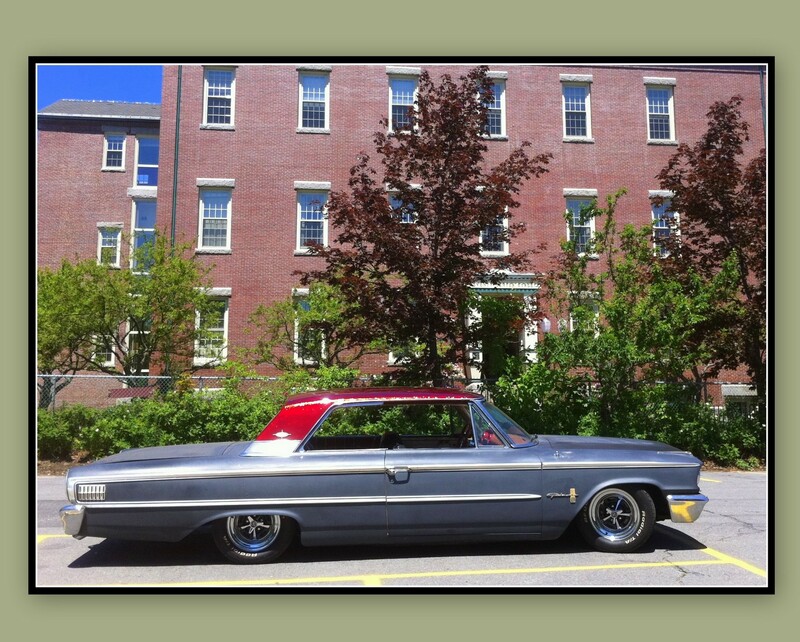 The inspiration behind the name comes from our 63' Ford Galaxie. Yes, the GALAXIE is real, and in our garage! Classic cars have always been a family passion; a way for us to do things together. We actually started selling salsa "out of the trunk" at car shows. Eventually, people would see us and ask, "Where's that GALAXIE SALSA?" and that is how we got our name! With our focus always on balancing home, work, and family, this business venture couldn't be more perfect! Though we started introducing our product at car shows, high demand prompted us to move into local stores to allow people other ways of finding us and now, with Hannaford Supermarket on board, more of you can find us in your local grocery store. We've got our area surrounded but we want to be everywhere you are...If you see the Galaxie on the road, you can be sure we are making it happen! After (7) amazing years of sharing our salsa, some of our supporters have said " GALAXIE SALSA practically sells itself." It's that good! If you have tried it, you understand! With (7) different styles and heats to choose from, we have one for you! See you on the road! The inspiration behind the name comes from our 63' Ford Galaxie. Yes, the GALAXIE is real, and is in our garage! Classic cars have always been a family passion; a way for us to do things together. We actually started selling salsa "out of the trunk" at car shows. Eventually, people would see us and ask, "Where's that GALAXIE SALSA?". So, that is how we got our name!